In early August, researchers announced they had genetically edited human embryos, the first such experiment reported in the United States. It’s a tiny tweak that could someday save lives — as the study’s authors note, more than 10,000 medical conditions are caused by inherited genetic mutations. In the test embryos, researchers eliminated a mutation that causes hypertrophic cardiomyopathy, a dangerous heart condition. 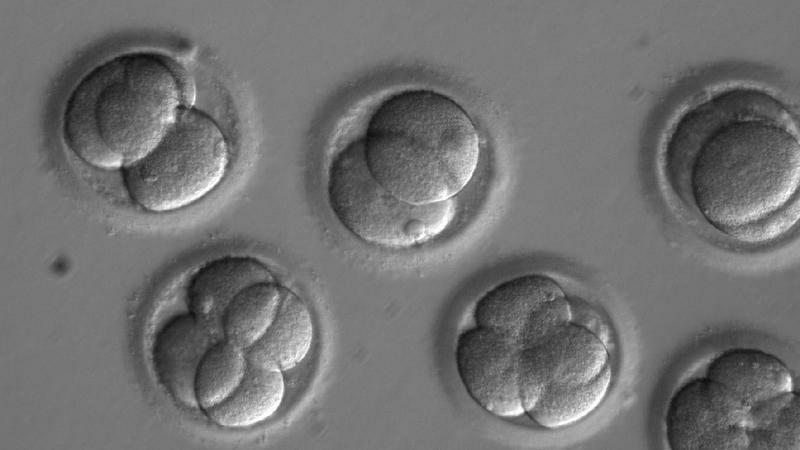 But the study has reignited concerns from some about the ethics of heritable (germ line) human gene-editing, not least the creation of “designer babies” using a mix of perfect genes. Shoukhrat Mitalipov directs the Center for Embryonic Cell and Gene Therapy at Oregon Health and Science University and co-authored the new study. The way he explains it, designer babies would be difficult to produce using the technique: “At this point, it seems like you would have to do something differently if you want to insert some extra piece of DNA — and the embryo seems likely to refuse it,” he says. A day after the CRISPR study went live, an international working group published its own research on heritable genetic editing in humans. In the position paper, genetic experts warn against allowing gene-edited embryos to develop in pregnancy, at least for now, and suggest gene-editing technology should be considered only as a last resort in the future. But the authors give cautious support for in vitro human germ-line research (like the preliminary CRISPR study) and suggest public dollars be used to fund it. “The main point of our statement was that basic science research like this at quite early stages is appropriate if it’s done in a regulated manner with good oversight and transparency,” says lead author Kelly Ormond, a genetics professor at Stanford University School of Medicine and faculty member at the Stanford Center for Biomedical Ethics. In the paper, Ormond and her co-authors argue that public funding can actually drive oversight and transparency in genome-editing research — and keep ethically sensitive experiments from moving to countries that may do less to regulate them.